Developed in the USA more than 30 years age, SuperCamp is a worldwide leader in academic and life skills holiday camps for students. The skills these students will learn, lasts a lifetime. Over 75,000 graduates from more than 85 countries have benefitted from SuperCamp. 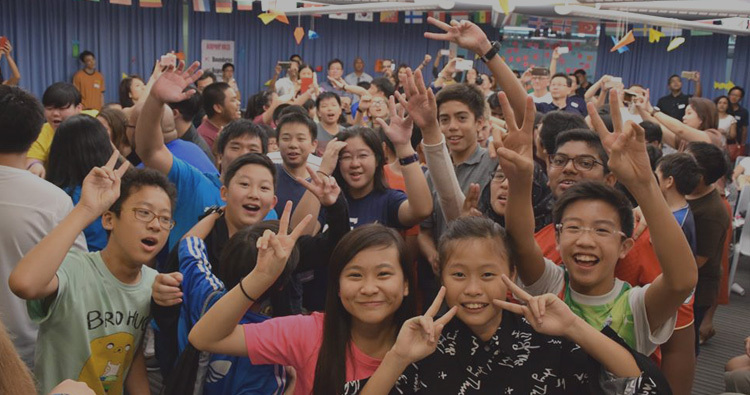 Join our summer camp in Singapore and unlock your potential! JOIN US FOR A 2019 SUPERCAMP! interactions and tons of fun. Six- and ten- day academic camp focus on improving self-esteem and instilling valuable learning skill and character traits. Many have master’s degrees, several are Teachers of the Year, and all are passionate about empowering students. Only the most qualified, committed, and caring candidates are chosen to be part of SuperCamp team. With 150 hours of specialized training, our staff is second to none! FIND MY GOALS. LIVE MY DREAMS. One of the greatest joy and satisfaction we have is also that the kids really have fun at the camp among their peers, away from school, away from protective arms of their parents and away from the comfort of their home. Just like a car that requires regular maintenance and once a while engine overhaul to run the distance, our kids need that break too amidst the stress full demands of our education system! I’ve sent all FOUR of my children to SuperCamp. My wife and I believe in creative thinking and self-leadership. SuperCamp is able to deliver all of this, and more! The factor that impacted me the most was the hospitality of the people at Supercamp. I am a person who is uncomfortable speaking in front of a large group of people. However I decided to conquer this fear and stepped out of my comfort zone to share in front of the entire camp my thoughts during Reflection Time. With the constant support of the two facilitators and my TLs, I was able to share my thoughts with everyone.